Carter went to the home of his 71 year old neighbor, Helen Purdy, and asked to borrow money. When she refused, he stabbed her 13 times and took $15. Carter confessed to the crime, at first claiming that Purdy got excited and was accidentally stabbed when she tried to push him. At trial, Carter admitted the killing, but argued that he was intoxicated on alcohol, crack cocaine and tranquilizers when he stabbed Purdy. The jury did not buy either story. Two cheeseburgers, a steak sub and two Cokes from the prison canteen. He declined to ask for a special last meal and paid $4.20 from his prison account for the food. "The only thing I would like to say is that I apologize to the victim's family of Ms. Purdy and I would like to apologize to my family for the disappointment and pain I have caused them throughout my life. I love you, pop." 12/10/02 - Desmond Carter executed at 2 a.m. Carter pronounced dead at 2:17 a.m.
12/6/02 - Judge Hudson's stay lifted by North Carolina Supreme Court. 12/04/02 - Durham Superior Court Judge Orlando Hudson stays Carter's execution. 10/23/02 - Correction Secretary Theodis Beck sets Desmond Carter's execution date for Dec. 10, 2002. 10/7/02 - U.S. Supreme Court denies Carter's petition for a writ of certiorari to review the decision of the U.S. Fourth Circuit Court of Appeals which affirmed Carter's conviction and sentence of death. 12/8/95 - North Carolina Supreme Court affirms Carter's convictions and sentence of death. 7/5/93 - In Rockingham County Superior Court, Desmond Carter is sentenced to death for first degree murder and 40 years for robbery with a dangerous weapon. RALEIGH - Correction Secretary Theodis Beck has set December 10, 2002 as the execution date for death row inmate Desmond Keith Carter. The execution is scheduled for 2 a.m. at Central Prison in Raleigh. Carter, 35, was sentenced to death on July 5, 1993 in Rockingham County Superior Court for the March 1992 murder of his elderly neighbor, Helen Purdy of Eden, N.C. Carter also received a sentence of 40 years for robbery with a dangerous weapon. A media tour is scheduled at Central Prison on Monday, Dec. 2. Interested media representatives should arrive at Central Prison’s visitor center promptly at 10 a.m. on the tour date. Warden R.C. Lee will explain the execution procedures. The session will last approximately one hour. This will be the only opportunity to photograph the execution chamber and death watch area before the execution. Journalists who plan to attend the tour should contact the Department of Correction Public Information Office at 919-716-3700. The state of North Carolina is scheduled to execute Desmond Carter Dec. 10 for the 1992 murder of his next-door neighbor, Helen Purdy. Carter, a black man, allegedly stabbed the 71-year-old woman during his attempt to steal money to buy cocaine. Carter’s case represents a reality that few are willing to accept: the criminal justice system focuses overwhelmingly on the effects of violence and retaliatory measures, and insufficiently on the causes of violence and possible solutions. Carter’s grandmother, who cared for him throughout his childhood and teenage years, recognized his substance abuse problems and sought medical assistance at Charter Hospital, a state mental health facility. Despite her efforts, she had little success seeking treatment; the hospital rejected Carter because his family – which consisted of a mother who abandoned him and a father incarcerated for murder – could not afford adequate health insurance. A few weeks later, Carter, intoxicated with alcohol, crack cocaine, and tranquilizers, entered Purdy’s house in search of cash to buy more drugs. Rather than execute another victim and ignore the issue of drug addiction, the state of North Carolina and the United States government should examine where along Carter’s path to violence it could have altered the course of events. In this case, the government refused to provide affordable health care for a citizen oppressed since his early childhood, and its shortcoming resulted in crime. The death penalty will not stop the cycle of violence linked with poverty and oppression, because it fails to address the roots of the crisis. Unfortunately, this case also highlights the problems with North Carolina’s capital punishment system from a legal perspective. A 2001 study conducted by the University of North Carolina shows that those who kill white victims have far greater odds (three and a half to one) of receiving the death penalty than those who kill black victims. For black defendants, those odds increase even more. The death penalty system in North Carolina, like all the death penalty systems throughout the United States, contains fundamental flaws concerning racial discrimination. Furthermore, in keeping with the long-lasting economic bias in the capital punishment system, Carter received legal representation from a lawyer reprimanded by the State Bar (the State Bar disciplines less than one percent of North Carolina lawyers). The lawyer – Doug Hux – appointed by the court to represent Carter at trial because he could not afford a private attorney, apparently has a history of making demeaning statements about clients and charging exorbitant fees. This, too, represents only a microcosm of a deeply flawed system; the State Bar has disciplined an overwhelming percentage of court-appointed capital defense lawyers in North Carolina. This approaching execution date, clearly tainted by racial and socio-economic discrimination, should serve as a wake-up call to the state of North Carolina. Please write to Gov. Mike Easley and request clemency for Desmond Carter. Lawyers for a Rockingham County man scheduled for execution next week pleaded for leniency Thursday with the governor, while state attorneys prepared an appeal of a judge's stay of execution. Desmond Carter, 35, was to be executed by injection at 2 a.m. Tuesday for the 1992 stabbing death of an elderly neighbor who refused him money to buy drugs. Durham Superior Court Judge Orlando Hudson issued a stay Wednesday afternoon. His order was verbal and because of a winter storm that shut down the courthouse, his written order wasn't filed. The state's lawyers can't appeal until the order is in written form, but said during the hearing they would appeal in hopes of overturning the order and allowing the execution to proceed. Prosecutors and defense lawyers talked to Gov. Mike Easley during a clemency meeting. The defense has contended that Carter's original lawyers weren't good enough and that racial bias against black defendants accused of killing whites made his trial unfair. Carter also received 40 years for robbery with a dangerous weapon for taking $15 from 71-year-old Helen Purdy. Lawyers have said Carter was intoxicated on alcohol, crack cocaine and tranquilizers when he stabbed Purdy. Relatives said the governor would be doing the right thing to convert Carter's sentence to life without parole. "This is really a hard situation," said Carter's brother, Tyrone Wallace of Holyoke, Mass. "I feel taking a life for someone's life ... is no way to deal with societal ills." Lawyers for Carter brought up the same issues as were presented to the Durham judge who issued a stay. "First and foremost, I don't think he received adequate lawyering," said attorney David Lloyd. A black member of the jury has said he wanted a life sentence but gradually gave in to the majority of whites and voted for death. District Attorney Belinda Foster spoke to the governor by telephone, but earlier she said she was a black person who supported the death penalty in this case. She didn't attend the meeting because of the bad weather. RALEIGH, N.C. -- A man who brutally stabbed his elderly neighbor over a few dollars for drugs died peacefully Tuesday in the state's execution chamber after last-minute appeals failed. Desmond Keith Carter, 35, was executed hours after the U.S. Supreme Court twice declined to stop his execution. Gov. Mike Easley also declined to change the death sentence to life in prison without parole. Carter's father, William Conway, and defense lawyer Bill Osteen sat sandwiched between two detectives on the front row of the execution witness room. Two relatives of Carter victim Helen Purdy, 71, of Rockingham County, watched intently from the second row where they sat between a detective and a prosecutor. Lawyers have said Carter was intoxicated on alcohol, crack cocaine and tranquilizers when he stabbed Purdy 13 times with a butcher knife and took $15. "I love you, pop," Carter mouthed to his father as a drug put him to sleep before a powerful muscle relaxer stopped his breathing. In a last statement recorded by warden R.C. Lee of Central Prison, home of the state's death row, Carter said: "The only thing I would like to say is that I apologize to the victim's family of Ms. Purdy and I would like to apologize to my family for the disappointment and pain I have caused them throughout my life." No one from the Purdy or Carter families spoke to reporters after the execution. Carter's half brother, Tyrone Wallace, stood with death penalty protesters outside the prison. Carter's last meal consisted of two cheeseburgers, a steak sub and two Cokes from the prison canteen. He declined to ask for a special last meal and paid $4.20 from his prison account for the food, said Pam Walker, a Corrections Department spokeswoman. Defense lawyers' appeal to the nation's highest court challenged a state Supreme Court rejection of a stay that was issued last week by a lower court judge. The Supreme Court turned down the request without comment. Spokesman Ed Turner said the U.S. Supreme Court also denied a second appeal filed late Monday on the grounds that some jurors used a Bible during deliberations. In the first high court appeal, the defense asked for review of Carter's case on three issues: racial bias in the death penalty, lack of prosecutorial discretion to seek a life in prison sentence for first-degree murder and the state's indictment form that doesn't list all factors against a defendant. Carter's lawyers said the death sentence was flawed by racial bias because his victim was white and he is black. Prosecutors have in recent years had the option of seeking a life sentence since the Legislature changed the law. RALEIGH, N.C.(AP) - A man who brutally stabbed his elderly neighbor over a few dollars for drugs died peacefully Tuesday in the state's execution chamber after last-minute appeals failed. Desmond Keith Carter, 35, was executed hours after the U.S. Supreme Court twice declined to stop his execution. Gov. Mike Easley also declined to change the death sentence to life in prison without parole. Carter's father, William Conway, and defense lawyer Bill Osteen sat sandwiched between two detectives on the front row of the execution witness room. Two relatives of Carter victim Helen Purdy, 71, of Rockingham County, watched intently from the second row where they sat between a detective and a prosecutor. Lawyers have said Carter was intoxicated on alcohol, crack cocaine and tranquilizers when he stabbed Purdy 13 times with a butcher knife and took $15. "I love you, pop," Carter mouthed to his father as a drug put him to sleep before a powerful muscle relaxer stopped his breathing. In a last statement recorded by warden R.C. Lee of Central Prison, home of the state's death row, Carter said: "The only thing I would like to say is that I apologize to the victim's family of Ms. Purdy and I would like to apologize to my family for the disappointment and pain I have caused them throughout my life." No one from the Purdy or Carter families spoke to reporters after the execution. Carter's half brother, Tryone Wallace, stood with death penalty protesters outside the prison. Carter's last meal consisted of two cheeseburgers, a steak sub and two Cokes from the prison canteen. He declined to ask for a special last meal and paid $4.20 from his prison account for the food, said Pam Walker, a Corrections Department spokeswoman. Defense lawyers' appeal to the nation's highest court challenged a state Supreme Court rejection of a stay that was issued last week by a lower court judge. The Supreme Court turned down the request without comment. Spokesman Ed Turner said the U.S. Supreme Court also denied a second appeal filed late Monday on the grounds that some jurors used a Bible during deliberations. In the first high court appeal, the defense asked for review of Carter's case on three issues: racial bias in the death penalty, lack of prosecutorial discretion to seek a life in prison sentence for first-degree murder and the state's indictment form that doesn't list all factors against a defendant. Carter's lawyers said the death sentence was flawed by racial bias because his victim was white and he is black. Prosecutors have in recent years had the option of seeking a life sentence since the Legislature changed the law. RALEIGH, N.C. -- A man convicted of stabbing his elderly neighbor to death after she refused to give him money to buy drugs was executed early this morning by lethal injection. Desmond Keith Carter, 35, died just hours after the U.S. Supreme Court and Gov. Mike Easley declined to stop his execution. Defense lawyers' appeal to the nation's highest court challenged a state Supreme Court rejection of a stay that was issued last week by a lower court judge. The Supreme Court turned down the request without comment. Spokesman Ed Turner said the U.S. Supreme Court also denied a second appeal filed late Monday on the grounds that some jurors used a Bible during deliberations. Easley said he could find no compelling reason to overturn the decisions of the courts or the Rockingham County jury that convicted Carter. A grant of clemency would have reduced Carter's sentence to life in prison without parole. In the first high court appeal, the defense asked for review of Carter's case on three issues: racial bias in the death penalty, lack of prosecutorial discretion to seek a life in prison sentence for first-degree murder and the state's indictment form that doesn't list all factors against a defendant. Carter's lawyers said the death sentence was flawed by racial bias because his victim was white and he is black. Prosecutors have in recent years had the option of seeking a life sentence since the Legislature changed the law. In addition to the death penalty at his 1993 trial, Carter received 40 years for robbery with a dangerous weapon for taking $15 from 71-year-old Helen Purdy. Lawyers have said Carter was intoxicated on alcohol, crack cocaine and tranquilizers when he stabbed Purdy. "The evidence at trial showed that Mrs. Purdy had been brutally stabbed or cut with a butcher knife at least 13 times, and that Carter eventually confessed to the murder and robbery," said the state's brief opposing the defense appeal to the U.S. Supreme Court. Department of Correction spokesman Keith Acree said Carter visited his father, brother, daughter, grandmother and aunt in addition to defense lawyer Bill Osteen. Carter told Warden R.C. Lee of Central Prison in Raleigh, where the execution was scheduled, that he didn't want anything special for a last meal. Carter had two cheeseburgers, a steak sub and two Cokes from the canteen for his last meal, said Pam Walker, a corrections department spokeswoman. Carter was pronounced dead at 2:17 a.m., Acree said. Tuesday, December 10, 2002 -- Hours after Tyrone Wallace hugged his brother Desmond Carter for the first time Monday, his brother died by lethal injection. Carter, 35, died at 2:17 a.m. in the Raleigh, N.C., Central Prison after the U.S. Supreme Court refused to grant a stay of execution Monday and the North Carolina governor denied clemency. Wallace of Amherst, has been in North Carolina since Nov. 19, to lobby on his brother's behalf. Carter was sentenced to death in 1993 after he stabbed his neighbor, 71-year-old Helen Purdy, about a year earlier for refusing to loan him $5 to buy drugs. At the time, Carter was reportedly high on cocaine, alcohol and tranquilizers. Wallace, who was raised in Amherst and is the adopted son of Rev. Bobby Jack Wallace and Ernestine Wallace, learned of Carter's existence in 1998, when he was old enough to see his adoption records. He met Carter in June for the first time. Wallace, 25, and Carter, 35, are half-brothers and were each adopted and raised separately. Wallace works for the Hampshire Educational Collaborative's prison-to-work program, which was formerly based in Northampton and now is in Holyoke. Locally, Wallace was helped by a small but dedicated group of anti-death-penalty activists in Hampshire County, who also had been working to free Carter of his death warrant by petitioning Gov. Michael Easley to grant clemency. The governor received more than 100 letters from western Massachusetts residents, Wallace said. Speaking from Raleigh as he was about to leave for the prison to see his brother Monday, Wallace said his brother, in a previous visit, had seemed comfortable considering the circumstances and appeared to accept the fact that he would be executed. Earlier in the day, Carter had held his 11-year-old daughter for the first time and broken the news of his imminent execution to her, Wallace said. Wallace said Monday that he planned to spend as much time as possible with his brother and then attend a candlelight vigil outside the prison. Wallace could not be reached this morning for comment. Appeals were made to the North Carolina Supreme Court and the U.S. Supreme Court to stay the sentence. Among their arguments to the high court, Carter's lawyers argued the death sentence was flawed by racial bias because carter's victim was white and he is black. Carter was the 23rd person executed in North Carolina since the death penalty was reinstated in 1977. Raleigh, NC - As the world celebrates Human Rights Day on December 10, Desmond Carter faces execution by the state of North Carolina. Convicted in the 1993 murder of Helen Purdy in Rockingham County, Carter had the odds stacked against him from the start in a system tainted by racial bias and questionable representation for those who can’t afford their own trial lawyer. "It is ironic that our state plans to execute Desmond Carter on Human Rights Day," says David Lloyd, Carter's former appellate attorney. "An examination of the record in this case raises essential questions of fairness and equitable treatment." Carter is black, and his victim was white. In 2001, UNC researchers found that for those who kill a white person in North Carolina, the odds increase by 3.5 times that they will get the death penalty. Those odds increase even more when a person of color kills a white person. Though whites make up only 40 percent of murder victims in North Carolina, in the cases in which an offender has been executed, 90 percent of the murder victims were white. The use of the death penalty in Rockingham County follows the same pattern: More than half of murder victims in that county are African-American, but in cases in which the death penalty has been imposed, seven of the eight victims were white. Maryland's Governor Parris Glendening recently imposed a moratorium on executions in his state to await the results of a study on the role of race in the application of the death penalty. But except for commuting Robert Bacon’s death sentence because of overt racial bias at his trial, North Carolina has yet to address the issue despite the statistics. "It's time the state acknowledge the facts about race and the death penalty," says UNC law professor Jack Boger, who led the UNC study. "To continue to execute people in this environment is to perpetuate a system that is fundamentally unfair." Moeover, Carter was represented at trial by a lawyer who was subsequently reprimanded by the State Bar. A recent study by the Common Sense Foundation revealed that more than one of every six people currently on North Carolina's death row had lawyers who have been disbarred or otherwise disciplined for criminal acts or unethical behavior. "The state has recently taken important steps to improve the problem of inadequate representation for those who face capital charges," says Bob Hurley of North Carolina's Indigent Defense Services. "Unfortunately, those steps do nothing to address those, like Desmond Carter, whose trials came before the changes and were tainted by questions of ineffective counsel." Poverty played another important part in the saga. Carter, a drug addict who was under the influence of crack, alcohol and tranquilizers at the time of his crime, lived with his grandmother. Just days before the murder, the grandmother became so alarmed with Carter's erratic behavior that she tried to have him admitted to a local mental health facility. But Carter was turned away because he didn't have insurance. The family's inability to access mental health treatment derailed an intervention that may well have saved Helen Purd's life. "Desmond tried to get help but was rebuffed," says Lloyd. "His impairment and the family’s efforts to address the problem need to be reconsidered." Tuesday, December 10th is International Human Rights Day, recognized around the world to mark the anniversary of the day the United Nations adopted the Universal Declaration of Human Rights. This year the State of North Carolina wants to mark that day by executing Desmond Carter in Central Prison at 2:00 in the morning. Carter was sentenced to death in 1993 in Rockingham County for the 1992 murder of his next-door neighbor, Helen Purdy. Desmond Carter's road through the criminal justice system is a case study of what is wrong with capital punishment in North Carolina. Carter is African-American and Ms. Purdy was white. In 2001, UNC researchers released the findings of a preliminary study showing that for those who kill a white person in North Carolina, the odds increase by 3.5 times that they will get the death penalty. Ten percent of the victims of the people executed in North Carolina since 1977 were people of color, while, for the last decade, 60% of victims of murder in North Carolina were people of color, according the NC State Bureau of Investigation. The statistics are clear that race matters in determining who lives and who dies in North Carolina. So does the quality of the lawyers involved. Desmond Carter is poor and was unable to afford to hire an attorney. One of his court-appointed trial lawyers, Doug Hux, was recently reprimanded by the State Bar for making demeaning statements about a client in the press and for charging exorbitant fees. Less than one percent of lawyers in North Carolina are disciplined by the State Bar, but a study by the Common Sense Foundation found that more than one in six current death row inmates were represented at trial by lawyers who have been singled out for discipline by the Bar. Desmond Carter was one of those. Money matters in determining who lives and who dies in North Carolina. Even supporters of capital punishment demand that the system that decides who is executed must be a fair system, not one where race and class play a role. It is likely that the state will set execution dates for other death row inmates who are awaiting execution as part of our flawed system before the end of the year. Desmond Carter's fate is now in the hands of Gov. Mike Easley, who must demand that no one is executed in North Carolina until he can be sure that the ultimate punishment is applied fairly. Carter's case demands clemency. The all-too-common facts of his case demand that the state stop all executions and take an honest look at the system that conducts them. Desmond Carter is scheduled to be executed in North Carolina on 10 December - International Human Rights Day. He was sentenced to death in July 1993 for the murder of Helen Purdy in March 1992. Helen Purdy, a 71-year-old woman, was Desmond Carter's next-door neighbour in Eden, Rockingham County, northern North Carolina. She was found stabbed to death in her house by family members. At the time of the crime, Desmond Carter was reportedly intoxicated on alcohol, cocaine, and tranquilizers. He had taken $15 from Helen Purdy, which he used to buy cocaine. Desmond Carter was born to a 17-year-old mother in 1967. When he was three, his mother moved away, leaving him with his grandmother and alcoholic grandfather. The grandmother eventually left the grandfather and she and the child moved to North Carolina. During this time, Desmond Carter's father was imprisoned for murder. According to his current lawyers, Desmond Carter began using drugs when he was a teenager, and his substance abuse deteriorated over time. Not long before the murder of Helen Purdy, his grandmother tried to obtain substance abuse and mental health treatment for her grandson, however the hospital refused him treatment due to his lack of medical insurance cover. In common with most capital defendants in the USA, Carter was too poor to hire his own lawyer to represent him at the murder trial. A study by the Common Sense Foundation, a research organization based in Raleigh, North Carolina, has concluded that more than one in six of the state's current death row inmates were represented at trial by lawyers who have been disciplined by the State Bar. One of Desmond Carter's court-appointed trial lawyers was recently reprimanded by the State Bar for making demeaning statements about a client in the media and for charging excessive fees. Desmond Carter is black and Helen Purdy was white. A preliminary study issued in 2001 by researchers at the University of North Carolina indicates that people in the state who kill white people are 3.5 times more likely to receive a death sentence than for murders involving victims who are not white. This likelihood increases if the defendant is not white. About 40 per cent of murder victims in North Carolina are white, yet 86 per cent of the 21 people executed there since resumption of executions were put to death for crimes involving white victims. This pattern is reflected in Rockingham County. More than half of murder victims there are African American; in cases which have resulted in death sentences, seven of the eight murder victims were white (87.5 per cent). Research into the US death penalty has consistently shown a pattern of sentencing anomalies which cannot be explained without reference to racial factors, particularly in relation to the race of the murder victim. Eighty per cent of the executions in the USA, since judicial killing resumed there in 1977, were of people convicted of crimes involving white victims. Yet blacks and whites are the victims of murder in approximately equal numbers in the USA. In 1990, the General Accounting Office (an independent agency of the US government) issued a report on death penalty sentencing patterns. After reviewing and evaluating 28 major studies, the report concluded that 82 per cent of the surveys found a correlation between the race of the victim and the likelihood of a death sentence. The finding was "remarkably consistent across data sets, states, data collection methods and analytic techniques...[T]he race of victim effect was found at all stages of the criminal justice system process...". A legal appeal filed in the case of Ronald Watkins, who was executed in Virginia in 1998, showed that since 1970, prosecutors in Danville, Virginia, had charged 126 people with murder: 93 blacks and 33 whites. Eighteen were charged with capital murder (murder with aggravating circumstances that permits use of the death penalty): 16 blacks and two whites. The death penalty was eventually sought in half the cases involving black defendants; but not for either of the white defendants. Danville is on Virginia's border with North Carolina, and is only about 35 kilometres from Eden in Rockingham County. In his 1998 report on the death penalty in the USA, the United Nations Special Rapporteur on extrajudicial, summary or arbitrary executions noted that: "Race, ethnic origin and economic status appear to be key determinants of who will, and who will not, receive a sentence of death." In 2OOO, the UN Special Rapporteur on Contemporary Forms of Racism wrote of his concern about "the discriminatory manner in which the death penalty is applied in the United States of America and hopes that the advent of a new millennium will also offer an opportunity for that great country to envisage penal sanctions more in line with international human rights standards and with the prevailing tendency, which is towards the abolition of capital punishment." In May 2002 Maryland's governor, Parris Glendening, imposed a moratorium on executions in his state pending the results of a study into the role of race in capital sentencing. Amnesty International opposes the death penalty unconditionally. While 111 countries are abolitionist in law or practice, the USA has put 805 prisoners to death since resuming executions in 1977. - calling on the governor to impose a moratorium on executions in North Carolina. The victim, Helen Purdy, was a seventy-one-year-old resident of Eden, North Carolina. She lived alone beside the home of defendant, his grandmother, and his uncle. Because of her fragile health, friends and family members took turns looking after and checking in on her. On 9 March 1992 Gchuther Morris, Mrs. Purdy's sister-in-law, tried calling Mrs. Purdy all day and became concerned when she did not get an answer. Around 9:15 p.m. Linda Purdy, Shirley Gray, and Ralph Carter went to Mrs. Purdy's house. They found her dead on her living room floor, lying in a pool of blood. Aside from the front door being unlocked, everything in the house generally appeared in order; there was no sign of a struggle. In Mrs. Purdy's bedroom the bed covers were turned back to one side, as if someone had been lying on the bed, and Mrs. Purdy's purse was lying open on the bed. Dr. Robert L. Thompson, the forensic pathologist who performed the autopsy, found thirteen cut and stab wounds as well as numerous minor cuts and abrasions to Mrs. Purdy's hands, neck, and face. The significant findings included: (1) two incised or cut wounds in the victim's right chest, both with depths of 4 3/4 inches, one penetrating the pericardium sac and the other the liver; (2) two incised or cut wounds in the left chest with depths of 4 1/2 inches and 6 inches, again penetrating the pericardium sac and liver; (3) two incised or cut wounds in the left armpit with depths of 6 inches and 3 1/2 inches; (4) wounds to the back of the left arm, two of which went completely through the arm; (5) a small abrasion of the lower lip; (6) a superficial one-inch-long cut in the area of the left ear and a one-half inch cut below the angle of the jaw on the left side; (7) scratches and cuts on both wrists; (8) a 5 1/8 inch cut on the left first finger, described as a defensive wound; and (9) a large incised wound in the left side of the neck measuring 4 inches down to the bone. Dr. Thompson opined that death was caused by the wounds to the chest, none of which would have been instantly fatal. It would have taken several minutes for death to occur. Nadine Carter, defendant's grandmother, testified that on the morning of 9 March 1992, defendant had called her into his room and told her he needed to go to the hospital. He said he had been accosted by four young white males at the car wash when he was coming home the night before and had been stabbed in the leg. Defendant had a towel wrapped around his leg. When Mrs. Carter looked at defendant, she knew something was not right, but she believed his story and did not question him further. She then drove defendant to Morehead Hospital. Mary Hertle, an emergency room employee of Morehead Hospital, was on duty on 9 March 1992. Defendant came to the emergency room around 8:30 a.m. reporting a puncture wound two or three inches deep to the left inner thigh. Defendant said four white men had assaulted him at the car wash the previous night. Although defendant smelled of alcohol and said he did not come earlier because he was too drunk, Ms. Hertle observed that defendant did not appear intoxicated or in pain, his speech was not slurred, and he gave what appeared to be appropriate answers to questions. Mark Joyce, an Eden police officer, also saw defendant at Morehead Hospital that morning. Defendant told him essentially the same story about his leg wound. In Joyce's opinion, although defendant had been drinking and there was a strong odor of alcohol about him, defendant was not impaired. Greg Moore, an Eden Police Department detective, was assigned to investigate the murder. He had seen defendant on crutches on 9 March 1992 at the magistrate's office and knew defendant was reporting a knife wound to his leg. Detective Moore also knew defendant lived beside the victim. At approximately 8:40 a.m. on 10 March 1992, Detective Moore and SBI Agent James Bowman interviewed defendant at the Rockingham County jail. At that time, defendant was incarcerated on another charge for which he had been arrested on 9 March 1992. In substance, defendant initially gave these officers the following version of the events leading to his leg wound. Defendant said three white men had jumped him on Monday, 9 March 1992, about 4:30 or 5:00 a.m. He had been riding around and drinking with his friends, Quentin Broadnax and Jamel Price. After Broadnax dropped him off, defendant walked around before stopping at the corner of Henry and Early Streets. Defendant said he "threw up" at this time. Defendant then sat on the steps at the YMCA for a few hours. He said he may have dozed off. According to defendant, he had been drinking beer and liquor for most of the day and evening. After leaving the YMCA steps, defendant walked up Monroe Street towards home and was in the car wash parking lot when he saw some people getting into a truck. He could tell they were white males. The truck was directly across the street from Mrs. Purdy's house. He said he tried to cut through the lot to avoid them, but they pulled toward him and began shouting obscenities. When defendant hollered back, the men stopped the truck and began chasing him. Defendant tried to run, but they caught him, and he was too drunk to defend himself. As one man came up on his left side, defendant tried to kick him but got stabbed in the left leg in the process. In the course of this interview, Detective Moore was advised that defendant had a doctor's appointment at 9:45 a.m. Prior to leaving for the appointment, defendant signed a consent to have a blood sample drawn. Following the doctor's appointment, Moore and Bowman again interviewed defendant. Prior to commencing the second interview, defendant was told a butcher knife had been found in the lot near his residence. Thereafter, defendant confessed to the officers and gave a new statement. Detective Moore testified that defendant told the officers he went to the home of Helen Purdy in the early morning hours of 9 March 1992. He had been drinking and using cocaine and wanted to borrow money from Mrs. Purdy. Mrs. Purdy let defendant into her home and initially told him he could borrow five dollars. She then changed her mind and said he could not have any money. Mrs. Purdy then went towards the telephone, whereupon defendant asked her not to call his grandmother. Defendant stated that at that point Mrs. Purdy noticed defendant had a knife, and she became excited. She tried to push defendant, and in the process the knife went in her. Defendant pulled the knife out and stuck it in his own leg. Defendant said he did not know what happened after he cut himself and did not know how many times he stabbed Mrs. Purdy. Prior to going home defendant took fifteen dollars that Mrs. Purdy had placed near the telephone and used it to buy cocaine. He then threw the knife into a field next to his house. Agent Bowman testified that blood drawn from defendant the day after the murder was not tested for alcohol or drug content. The State introduced a knife found across the street from the murder scene. Lieutenant Walter Johnson testified that the knife was found on the grass in plain view and that no effort had been made to hide it. Blood of Mrs. Purdy's type was found on the knife. Mrs. Carter identified the knife as one from her kitchen. Denise Smith, a girlfriend of defendant's at the time of the murder, testified that in the summer of 1991, she asked defendant if he used cocaine or any other drug. Defendant said "no" but told her that if a person is arrested, he should say he was under the influence of drugs and he would get a lighter sentence. After defendant was arrested for Mrs. Purdy's murder, Ms. Smith visited defendant in jail. While in the presence of another detainee, defendant commented he had been to a mental health appointment. When the other detainee mimicked The Twilight Zone tune, defendant stated, "Man, I'm not crazy." Defendant also presented evidence. Jamel Price, defendant's friend, testified that he and defendant spent the day together on 8 March 1992. Defendant began drinking at approximately 12:30 p.m. that day. Price and defendant visited various establishments in Reidsville; and Price watched defendant consume more than one hundred ounces of beer, some wine, and some liquor. 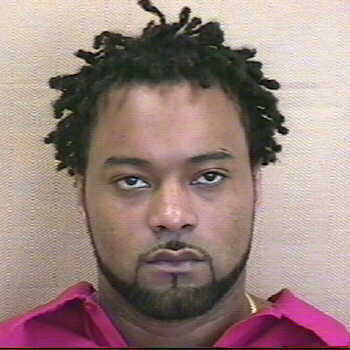 Price did not see defendant take drugs, but he was not with him all the time. Another companion, Quentin Broadnax, gave a similar account. On cross-examination Broadnax said that they went to defendant's house before going to Reidsville and that he believed defendant got five dollars from Mrs. Carter. Defendant testified in his own behalf. He said he spent the day on 8 March drinking beer, wine, and bootleg whiskey. He also consumed a twenty-five dollar bag of powder cocaine, a twenty dollar rock of crack cocaine, and two pills which he identified as "Zannex." During the early morning hours of 9 March, he had wanted to buy cocaine. Although he had fifty or sixty dollars on him, he wanted to borrow more so he could get as much cocaine as possible. Mrs. Purdy's light was on, so he went to her door to ask for money. The remainder of defendant's testimony corresponded with the confession he had given to Detective Moore and Agent Bowman. Defendant presented other evidence tending to show that he was mentally impaired at the time of the murder and that he had had a tumultuous childhood. Dr. John Warren, a clinical psychologist who examined defendant after his arrest, testified that defendant had a low average IQ and suffered from a borderline personality disorder as well as a substance-abuse problem. He opined that defendant's mental capacity was diminished at the time of the offense, making it very unlikely that he could make and carry out a plan to kill. During the sentencing phase, the State introduced evidence concerning the facts and circumstances of defendant's prior conviction for second-degree robbery. Darwin Neely, the victim of that robbery, testified that in March 1986 defendant and three other men abducted him, forced him into a car at gunpoint, stole his money and personal items, and temporarily held him hostage. All four men had guns. The State introduced a certified copy of a judgment from Nassau County Court, State of New York, which had been entered upon defendant's plea of guilty to second-degree robbery. Defendant served four years in prison for that offense. Defendant's penalty-phase evidence tended to show that he was well behaved, kind, and loving. Dr. Warren testified that defendant was under the influence of emotional disturbance at the time of the crime and that his ability to appreciate the criminality of his conduct was impaired. Dr. Warren found that defendant would benefit from a structured environment, had done well in prison before, and did not have disciplinary problems. Lucy Moriello, a counselor with the New York Department of Corrections for eleven years, characterized defendant's time in prison in New York as good conduct, with appropriate behavior and no disciplinary problems. On rebuttal, the State presented evidence of defendant's insolence while being held pretrial at the Rockingham County jail. If you find from the evidence, . . . beyond a reasonable doubt that on or about March 9th, 1992, the defendant had been convicted of second degree robbery and that the defendant threatened to use violence to the person in order to accomplish his criminal act and that the defendant killed Helen Moore Purdy after he committed the second degree robbery, you would find this aggravating circumstance . . . . Defendant contends that this instruction required the jury to find that defendant personally threatened or used violence during the prior robbery, and he argues that the evidence did not support such a finding. The aggravating circumstance reads as follows: "The defendant had been previously convicted of a felony involving the use or threat of violence to the person." N.C.G.S. [section] 15A-2000(e)(3). Defendant concedes that this Court has previously interpreted this circumstance to require only that "the felony for which he was convicted involved the 'use or threat of violence to the person.'" State v. Goodman, 298 N.C. 1, 22, 257 S.E.2d 569, 583 (1979). He argues, though, that the trial court's instruction changed the theory of the circumstance by requiring a more exact showing that defendant himself threatened or used violence during the earlier robbery. We disagree. Defendant did not object to the instruction at trial, so we review for plain error. State v. Odom, 307 N.C. 655, 660, 300 S.E.2d 375, 378 (1983). This instruction, taken as a whole, would not have been viewed by a reasonable juror as limiting the aggravating circumstance so as to require a showing that defendant personally used or threatened violence. Early in the instructions, the court told the jury the issue was, "had the defendant been previously convicted of a felony involving the use or threat of violence to the person." (Emphasis added.) The issue was identically worded on the issues and recommendation form. A reasonable juror thus would not likely have interpreted an isolated reference to defendant's personal threat or use of violence as limiting the circumstance contrary to the clear wording in other portions of the instructions and on the forms submitted to the jury. At the sentencing hearing, psychiatrist Dr. John Warren testified that defendant suffered from borderline personality disorder, a low IQ, and substance-abuse disorder. Based on these three conditions, he opined that defendant suffered from mental or emotional disturbance at the time of the offense and was unable to appreciate the criminality of his conduct or to conform his conduct to the requirements of law. Having found no error in either the guilt or sentencing phase, we must determine whether: (1) the evidence supports the aggravating circumstances the jury found; (2) passion, prejudice, or "any other arbitrary factor" influenced the imposition of the death sentence; and (3) the sentence is "excessive or disproportionate to the penalty imposed in similar cases, considering both the crime and the defendant." N.C.G.S. [section] 15A- 2000(d)(2). The jury found defendant guilty of first- degree murder under the theory of malice, premeditation, and deliberation, as well as under the felony murder rule. It also found him guilty of robbery with a dangerous weapon. At the capital sentencing proceeding the trial court submitted two aggravating circumstances, both of which the jury found: that defendant had been previously convicted of a violent felony, N.C.G.S. [section] 15A-2000(e)(3); and that the murder was committed for pecuniary gain, N.C.G.S. [section] 15A-2000(e)(6). We conclude that the evidence supports both circumstances. We further conclude that the sentence of death was not imposed under the influence of passion, prejudice, or any other arbitrary factor. We therefore consider proportionality. One purpose of proportionality review "is to eliminate the possibility that a person will be sentenced to die by the action of an aberrant jury." State v. Holden, 321 N.C. 125, 164- 65, 362 S.E.2d 513, 537 (1987), cert. denied, 486 U.S. 1061, 100 L. Ed. 2d 935 (1988). Another is to guard "against the capricious or random imposition of the death penalty." State v. Barfield, 298 N.C. 306, 354, 259 S.E.2d 510, 544 (1979), cert. denied, 448 U.S. 907, 65 L. Ed. 2d 1137 (1980). We compare this case to others in the pool, which we defined in State v. Williams, 308 N.C. 47, 79- 80, 301 S.E.2d 335, 355, cert. denied, 464 U.S. 865, 78 L. Ed. 2d 177 (1983), and State v. Bacon, 337 N.C. 66, 106- 07, 446 S.E.2d 542, 563- 64 (1994), cert. denied, ___ U.S. ___, 130 L. Ed. 2d 1083 (1995), that "are roughly similar with regard to the crime and the defendant." State v. Lawson, 310 N.C. 632, 648, 314 S.E.2d 493, 503 (1984), cert. denied, 471 U.S. 1120, 86 L. Ed. 2d 267 (1985). Whether the death penalty is disproportionate "ultimately rest[s] upon the 'experienced judgments' of the members of this Court." Green, 336 N.C. at 198, 443 S.E.2d at 47. The trial court submitted four statutory mitigating circumstances: defendant had no significant history of prior criminal activity, N.C.G.S. [section] 15A-2000(f)(1); the murder was committed while defendant was under the influence of mental or emotional disturbance, N.C.G.S. [section] 15A-2000(f)(2); defendant's capacity to appreciate the criminality of his conduct or to conform his conduct to the requirements of law was impaired, N.C.G.S. [section] 15A-2000(f)(6); and defendant's age at the time of the crime, N.C.G.S. [section] 15A-2000(f)(7). Notably, the jury found none of these to exist. The trial court also submitted the "catchall" circumstance, N.C.G.S. [section] 15A-2000(f)(9), and the jury answered it in the negative. The jury found only three nonstatutory mitigating circumstances--that defendant confessed his guilt and cooperated with law enforcement officers, that his parents had failed to provide him with a nurturing and supporting relationship, and that his grandmother had tried to get substance-abuse help for him just prior to the crime. The jury determined that the aggravating circumstances outweighed the mitigating circumstances and recommended a sentence of death. This case has several distinguishing features. The jury convicted defendant under both the felony murder rule and the theory of malice, premeditation, and deliberation. "The finding of premeditation and deliberation indicates a more cold- blooded and calculated crime." State v. Artis, 325 N.C. 278, 341, 384 S.E.2d 470, 506 (1989), sentence vacated on other grounds, 494 U.S. 1023, 108 L. Ed. 2d 604 (1990). Further, the victim was killed in her own living room in the middle of the night. A murder in the home "shocks the conscience, not only because a life was senselessly taken, but because it was taken [at] an especially private place, one [where] a person has a right to feel secure." Brown, 320 N.C. at 231, 358 S.E.2d at 34. Defendant chose to kill a person who had treated him with kindness and compassion, for whom he had done yard work in the past, and who had been his neighbor for quite some time. Additionally, the evidence indicated that defendant stabbed the victim over thirteen times with an eight-inch butcher knife. One of the stab wounds penetrated to a depth of six inches, and at least three others were four inches deep or more. Finally, the victim was a seventy-one-year-old woman who suffered from cancer and arthritis. At 5'2 1/2" tall and 119 pounds, she was no match for defendant, a healthy twenty-four-year-old man. Defendant killed her for fifteen dollars to enable him to buy crack cocaine which he smoked while she lay dead on her living room floor. These features distinguish this case from those in which we have held the death penalty disproportionate. Defendant contends that this case is disproportionate because other robbery- and burglary-murder cases resulted in life sentences rather than death sentences. While we cannot distinguish all of those cases from this one, "the fact that one, two, or several juries have returned recommendations of life imprisonment in cases similar to the one under review does not automatically establish that juries have 'consistently' returned life sentences in factually similar cases." Green, 336 N.C. at 198, 443 S.E.2d at 47. Defendant also contends this case is similar to State v. Young, 312 N.C. 669, 325 S.E.2d 181 (1985), one of the cases in which we found a death sentence disproportionate, and that his sentence must therefore be vacated. We disagree. In Young the defendant, age nineteen, and two companions went to the victim's home and robbed and killed him. Defendant stabbed the victim twice, and one of his companions "finished him" by stabbing him five or six more times. The three young men then stole money and valuable coins and fled the scene. The defendant's two companions were not tried capitally because they received a plea bargain in exchange for testifying against the defendant. The defendant's crime in this case is readily distinguishable from that in Young. In Young the aggravating circumstances found were that the murder occurred during a robbery and was motivated by pecuniary gain. Pursuant to State v. Quesinberry, 319 N.C. 228, 354 S.E.2d 446 (1987), these circumstances would now be held redundant, leaving only one aggravator as opposed to the two clearly discrete aggravators found here. The most obvious distinctions, however, are the ages of the defendants and their prior criminal histories. In Young there was no finding of a prior felony conviction, and the defendant was nineteen years old. Defendant here, by contrast, was twenty-four years old and had already served four years in prison for second-degree robbery. Additionally, the defendant in Young stabbed the victim twice, while the defendant here stabbed his victim more than thirteen times. These features distinguish this case from Young as well as from the six other cases wherein we have held the death sentence disproportionate: State v. Benson, 323 N.C. 318, 372 S.E.2d 517 (1988); State v. Stokes, 319 N.C. 1, 352 S.E.2d 653 (1987); State v. Rogers, 316 N.C. 203, 341 S.E.2d 713 (1986), overruled on other grounds by State v. Vandiver, 321 N.C. 570, 364 S.E.2d 373 (1988); State v. Hill, 311 N.C. 465, 319 S.E.2d 163 (1984); State v. Bondurant, 309 N.C. 674, 309 S.E.2d 170 (1983); State v. Jackson, 309 N.C. 26, 305 S.E.2d 703 (1983). Considering this crime and this defendant, particularly the features noted above, we conclude that the death sentence is not excessive or disproportionate. We hold that defendant received a fair trial and sentencing proceeding, free of prejudicial error.